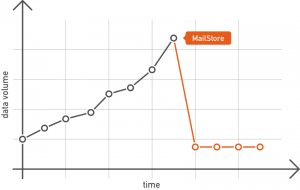 MailStore Server allows you to archive your emails, regardless of which email system you use to store them. This guarantees your company optimum flexibility now and in the future. No changes will be made to your email system during the archiving process and you do not need administrative access. Download the 30-day trial version for free today. In just a few minutes after installation, you’ll be archiving your first emails on a trial basis. There is absolutely no risk, since no changes whatsoever are made to your existing systems. ¹Microsoft Exchange Server 2003 and 2007 are no longer maintained by Microsoft. Therefore, we are only able to ensure limited compatibility and thus provide limited technical support for Microsoft Exchange Server 2003 and 2007. Furthermore, we reserve the right to completely remove support for these products in a future MailStore update. 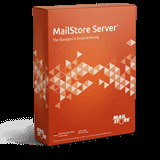 Let our technical experts present MailStore Server in a free demo, at no obligation to you. Read in our blog about the most important changes and updates in Mailstore Server 12. the complete list of technical changes can be read in the changelog. Blog: what’s new in V12?